With the aim of starting and continuing development with founder patrons and new patrons, a drinks reception, hosted by Leader of the Barking and Dagenham Council, Darren Rodwell, was held to share the benefits of the upcoming Youth Zones in London; focusing on the concept of a Youth Zone and how it will benefit both young people and the community. This event was also an opportunity to update founder patrons on the importance of private sector support. 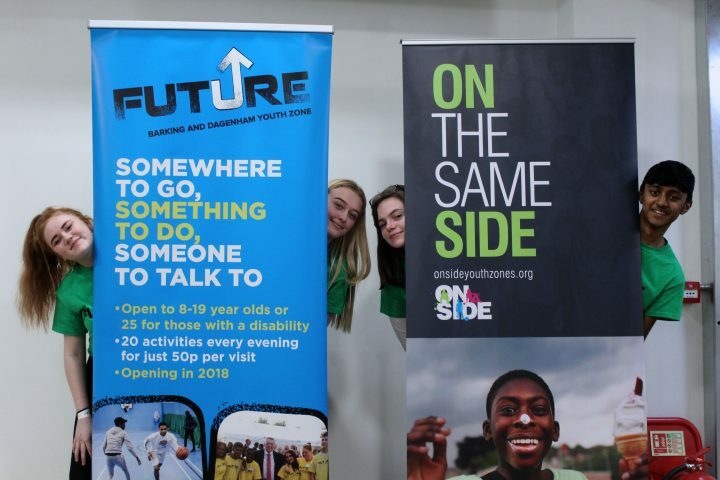 The young people of the Barking and Dagenham Young Peoples Development Group spoke about how the Youth Zone will be beneficial to them and how being a part of OnSide has impacted their life. Powerful stories were shared from the young people and it was inspiring to witness the influence that the Youth Zone was already having. The young people spoke about how OnSide has helped to develop their confidence, skills and friendship circles. It has enabled them to visit places they have never been to before and to engage in activities that they have never done before such as Skiing in France, sponsored night tubes, meeting Sadiq Khan and a trip to Buckingham Palace! Their inspiring stories are the foundation of the Youth Zone and once opened, Future Youth Zone will inspire even more young people. With just about a year until Future Youth Zone is fully functional, the excitement and build up has brought about hope for a place where the young people of Barking and Dagenham will have somewhere to go, something to do and someone to talk to. The development of Future Youth Zone is developing quickly. 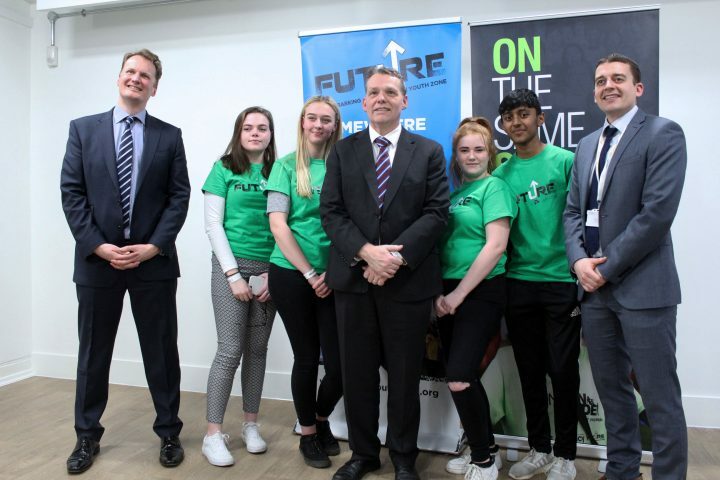 A cohort of very excited individuals such as the Leader of the Council Darren Rodwell, Local Councillors, Jack Petchey representative, CEO Gavin Evans, ZAK Agency, school teachers and members of the Young Peoples Development Group attended the unveiling of the hoardings just last week . The Leader of the Barking and Dagenham Council, Darren Rodwell, addressed the audience by sharing the good news of how much the borough is developing and that the coming of Future Youth Zone is in addition to all of the great things happening in the borough. Charles Mindenhall from OnSide spoke about how, as the first in London, Future Youth Zone has inspired other local areas to also want a safe and inspiring place for their young people to go in their leisure time. Future Youth Zone, Chief Executive Gavin Evans, speech was inspirational and a beacon of hope for what the Youth Zone will have to offer for young people and the community. He shared all that he experienced whilst working at The Hive, Wirral during his six-month period in the North West. The young people are extremely happy to have him as the Chief Executive of Future Youth Zone.